1. CAL FIRE has 22 S-2T fixed wing air tankers that can carry up to 1,200 gallons of retardant. They are presently converting an aircraft to replace the one destroyed in the October 7, 2014 crash that killed Geoffrey “Craig” Hunt. That process should be complete in 18 to 24 months. S-2T air tankers at McClellan Air Field, March 24, 2016. Photo by Bill Gabbert. 2. They have 15 OV-10 Air Attack fixed wing aircraft. A lineup of OV10 air attack ships at McClellan Air Field, March 24, 2016. Photo by Bill Gabbert. 3. And 12 Super Huey helicopters. Super Huey at McClellan Air Field, March 24, 2016. Photo by Bill Gabbert. 4. All of the above aircraft were discarded by the military. 5. The S-2T air tankers were designed to be based on aircraft carriers, and therefore have wings that fold. They still retain this feature, which makes it possible to cram more aircraft into a hangar. An S-2T with the wings folded. Photo by Bill Gabbert. This is a very interesting video about the only seaplane base operated by the U.S. Forest Service. It was uploaded to YouTube by David Quam and features USFS Pilot Dean Lee who does an excellent job of patiently describing the de Havilland Beaver DHC-2, three of which are seen at the base: N131Z, N132Z, and N133Z. Mr. Lee says in the video that the USFS purchased them new from de Havilland. FAA registration records shows that they were manufactured between 1956 and 1959. Mr. Lee explained in the video that the Beavers can scoop water into a 125-gallon tank and drop it on fires. 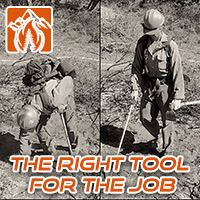 They are also used for wildlife radio tracking, search and rescue, recon, medivac, cargo, and “body hauling”. While working on the Section 33 Fire in Voyageurs National Park north of Ely in August of 2004 we used one of the USFS Beavers for suppression and recon. A U.S. Forest Service de Havilland Beaver preparing for a recon flight over the Section 33 Fire in Voyageurs National Park, August 11, 2004. The red object under the belly of the aircraft that looks like a bomb or torpedo is the 125-gallon water tank used to suppress wildfires. Photo by Bill Gabbert. Float planes are very useful in the parts of Minnesota that have as much water as dry land. A portion of the Section 33 Fire in Voyageurs National Park, August 11, 2004. Photo by Bill Gabbert. Thanks and a tip of the hat go out to Mathew. The Astar B3 at Custer, September 11, 2015. Photo by Bill Gabbert. We stopped by the Custer, South Dakota airport recently and briefly visited with the helitack crew. Assistant Manager Corey Lewis said the helicopter and personnel spent quite a bit of time this summer in the western states. 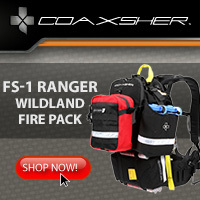 Again this year the U.S. Forest Service has an Astar B3 on exclusive use contract. Tanker 41, a BAe-146, over the University of Montana, May 21, 2014. Photo by Bill Gabbert. (Click to see a larger version). The California Department of Forestry and Fire Protection (CAL FIRE) has contracted with Neptune Aviation for the services of one of their most recently converted BAe-146 air tankers, Tanker #12. 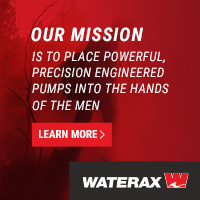 The 3,000-gallon capacity jet aircraft will report for duty at 10 a.m. on July 15 at Porterville, California. Initially it will only be staffed six days a week, but will begin 7 day a week coverage on August 15. It will be carded for initial attack, can be hot loaded with all four engines running, and will sit on the ramp loaded with retardant like the S2Ts. The tanker number, 12, had previously been used by one of Neptune’s P2V air tankers. CAL FIRE is also contracting for one of Erickson’s DC-7s, Tanker 60. Below is a video of Tanker 60 making a drop on the on the Calgrove Fire June 24 in southern California north of the intersection of the 210 and I-5 freeways. It is sporting a new paint job, having adopted Erickson’s new design that has been seen on their MD-87s and their other DC-7, Tanker 66. Neptune’s Tanker 41, a BAe-146, at Boise, July 19, 2014. Photo by Bill Gabbert. Edward O’Brien, a reporter with Montana Public Radio conducted interviews with three people about the reasons for the protests and delays in awarding the exclusive use contracts for another seven next-generation air tankers. 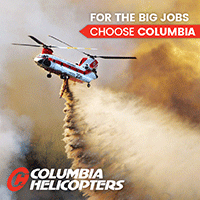 He talked with Ron Hooper, CEO of Neptune Aviation; Tom Harbour, Fire Director for the U.S. Forest Service; and Bill Gabbert, of Fire Aviation. 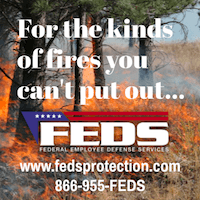 Some of the interviews were recorded about a week ago, but the piece was not published until June 19, the day the USFS announced awards for 22 Call When Needed (CWN) air tankers. The seven exclusive use contracts probably will not be awarded for about a month at the earliest because of the protests that were filed over the contracting process before any awards were announced. “A contract dispute has created uncertainty and potential lost revenue for the companies that supply firefighting air tankers, including Missoula’s Neptune Aviation. The conflict is over long-term contracts for jet engine, so-called “next generation” planes that bring more to the table than the Korean War-era prop-driven tankers firefighters have been using for decades. That’s Tom Harbour, Forest Service Director of Fire and Aviation Management. 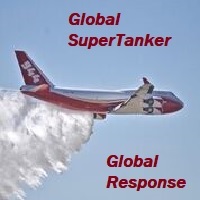 The agency currently has at least six “next generation” tankers ready to go this fire season and hoped to have up to another seven planes contracted for by now. But that’s plan’s now on hold. 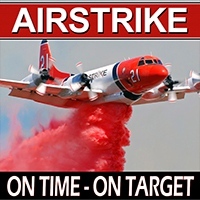 Two out-of-state air tanker companies – Coulson Aviation, and Erickson Aero Tanker – protested provisions of the government’s airtanker contracting process. Details of those complaints filed with the Government Accountability Office aren’t public. The managing editor of fireaviation.com, Bill Gabbert, says those protests have since been amended. The GAO is now forced to go back to square one. “And I’ve talked to a representative of GAO who told me that they’re probably going to need the entire 100 days in order to figure out what’s going on with these protests. That puts it into the middle or the end of July,” Gabbert says. Read or listen to the rest at MPR. This is the Kindergarten class from the Monzano School in Albuquerque. On February 20, 2015 they took a tour of Air Tanker 912, a DC-10, and got their picture taken with Amy and Anselm from the 10 Tanker Air Carrier maintenance crew. Photo by 10 Tanker Air Carrier. I love this photo that was posted today on the 10 Tanker Air Carrier Facebook page. 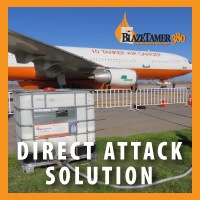 Below is a photo we took of the rest of a DC-10, Tanker 910, in 2013. These videos were shot with a GoPro camera attached to Tanker 131, a C-130Q, while it was dropping on the King Fire between Placerville and Lake Tahoe, California. 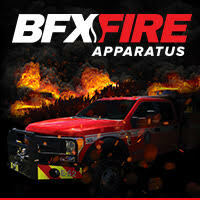 That was the fire where 12 firefighters deployed their fire shelters in front of advancing flames and were led to safety by a pilot in a helicopter. Thanks go out to Britt Coulson for making these available. We wish other air tanker operators would invest a couple of hundred dollars in a camera they could attach to their aircraft. I’d love to see a split screen video of an air tanker dropping. On one side we would see the ground and the drop itself, and the other side would be shot from the cockpit and would include the audio of the crew — like this video shot from MAFFS 3 in July. It would take a little bit of advanced video editing, but I imagine if the raw footage was available we could find a volunteer who could put it together. 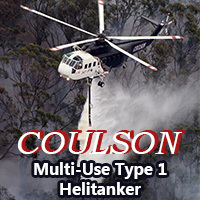 The photo below of Coulson’s Tanker 131 was shot while it was on final for landing at Redding, California, August 7, 2014. T-131 landing at Redding, California August 7, 2014. Photo by Bill Gabbert.